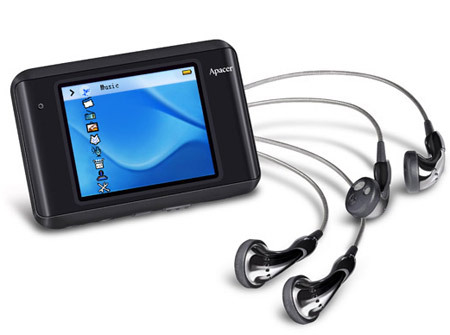 The global leader in memory module and digital storage hardware and software, Apacer Technology has announced its new portable music player, named as Audio Steno AU840. It’s the powerful multimedia center which features a large 2.2 inch colour TFT display, smooth video playback, dual earphone output jacks as well as an integrated high-quality stereo speaker, aiming for sharing digital entertainment in style. The latest Apacer Audio Steno AU840 multimedia center which available in 2GB and 4GB versions will hit Indian market soon but no words on pricing yet.